Dr. Jacquie Smile provides orthodontics treatments for adults, teens and children on Long Island, NY that are designed to straighten the teeth, correct overbite issues and fix other problems that may be affecting your smile. Our team of orthodontists in Nassau and Suffolk Counties can help you correct and straighten your teeth and prevent any future dental issues that may arise in the future. Please contact our practice for more information on orthodontics, accelerated braces, Invisalign and dental treatments available from our experienced orthodontic specialists on Long Island, NY by calling us at 516-921-6010. Dr. Smiles is an Invisalign Elite Premier Provider and has been recognized as a top Invisalign provider every year since 2003 on Long Island, NY. At the dental practice of Dr. Jacquie Smiles, we offer a variety of orthodontic treatments for adults on Long Island who are looking to straighten misaligned teeth, correct overbites and/or underbites. Our adult orthodontics treatments can improve the look of your teeth, improve your smile as well as prevent the damaging effects crooked teeth may cause, including bone loss, tooth decay and TMJ disorder. Contact our office today for a complimentary consultation to help determine your needs and goals for an adult orthodontic treatment plan designed to bring you optimal results. Ask our office about accelerated orthodontic and speed braces treatments we offer for our adult patients. Our dental clinic on Long Island offers Invisalign Teen® for teenagers who may need to straighten their teeth, correct overbite/underbite or to simply improve their smile. Whether you’re just entering your teens, a freshman in high school, or ready to graduate and head off to college, you’re ready for a fresh start. You have the opportunity to join new clubs, organizations, sports and make new friends. Let’s face it. Braces sometimes just don’t fit into the equation. Lucky for you, there’s a clear solution. 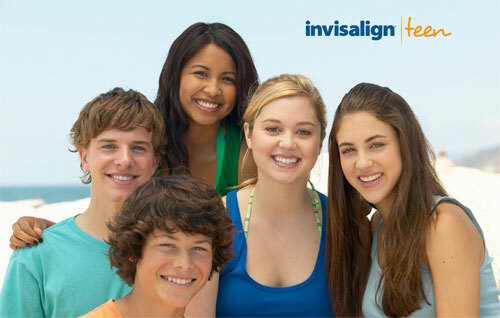 With Invisalign Teen® you can straighten your teeth minus the wires and brackets. Dr. Jacquie Smiles and her talented staff of dental professionals are proud to serve her patients on Long Island, NY and provide orthodontics services in and around Nassau and Suffolk Counties. Our Long Island dental office are conveniently located for all of your orthodontics treatments. Dr. Jacquie Smiles is an orthodontists specialist for children, teens and adults so you can feel confident knowing that an expert is managing your dental care. Her mission is to provide you and members of your family with excellent customer service and outstanding patient experience. To find a reputable orthodontists on Long Island, NY, first ask recommendations from family and friends. Also make a list of the orthodontists offices in your area that are potential candidates. Choose an orthodontic specialists office that is conveniently located from your home or work office. Make sure to ask each office you call or visit if they are licensed in the state of New York and if they are board certified. It is also recommended to visit each office for a consultation to see speak to the dentist and the staff. Discuss your options, the procedures that are best for you and observe the cleanliness of the office and accommodations of the staff. Choose the one office that meets all of your needs and makes you feel the most comfortable. Avoid choosing orthodontists that has a messy, dirty office, rude staff, lack of credentials and seems like they are in a rush to get to the next patient. To schedule your appointment with Dr. Jacquie Smiles for an orthodontics treatment on Long Island, NY, please call 516-921-6010 or fill out our convenient contact form to receive more information.